At home in the heartland, I'm a designer who loves a good design challenge whether in print, interiors or campers! Just 14" of easy to tow fun from 1964. 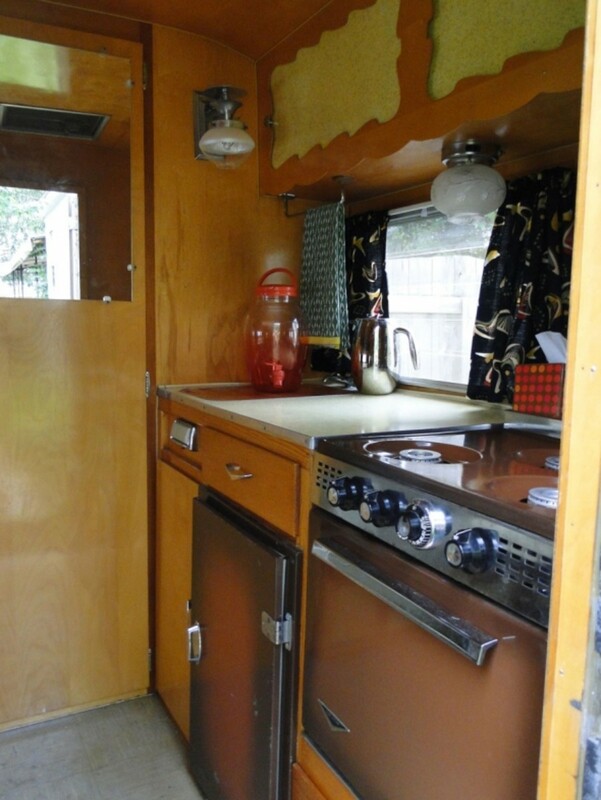 Notes from a Former Vintage Camper "Newbie"
I fell in love with the gorgeous honey colored charm of a vintage Shasta travel trailer, searched it out online, brought it home, decorated it, painted it and went out to camp, all without really knowing what I was getting into. 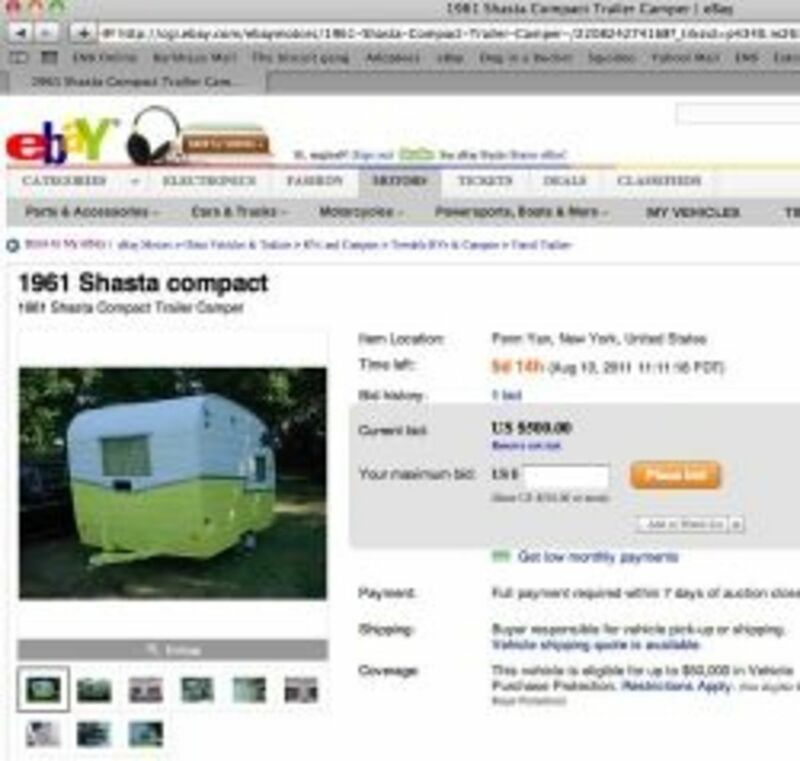 Now, I'm in deep with Shasta camper #2 - we're upsized! So, if you're contemplating the same road, let me share my notes as we navigate the road less traveled! From choosing a camper to choosing a good cushion fabric, stocking the rig with vintage camping gear, cooling her down or dressing her up... I'll post it here as I think of it. Please share your tips with me too! Shastas just like mine sometimes end up on Ebay, although we scored on Craigslist. 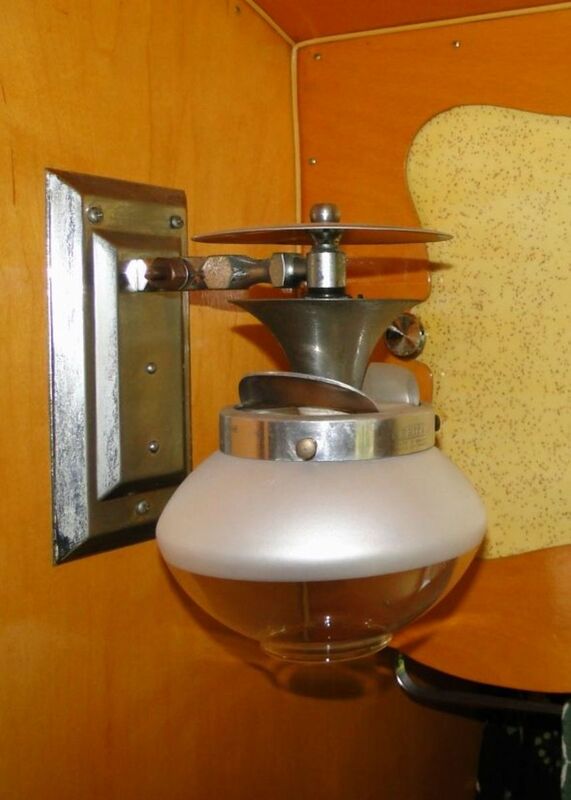 The Best Online Sites to find a Vintage RV Trailer. Well, like any good Antique Roadshow story, the BEST place to find a vintage trailer is in someone's barn, well-protected from 40 years of sun, snow and rain; particularly if that barn is owned by the distant relatives of the former owner who just want it cleared out. But pipe dreams aside, unless you happen to luck onto one with a For Sale sign out in the rural hinterland that hasn't been too abused, you'll be looking in more formal sales venues like Craigslist, Ebay, Tincantourists.com and other online venues like Yahoo groups. This requires a certain leap of faith. What can you see in a photo (and what can't you see), how far can you transport the trailer without needing an overhaul and what questions to ask so you know what you're getting into? 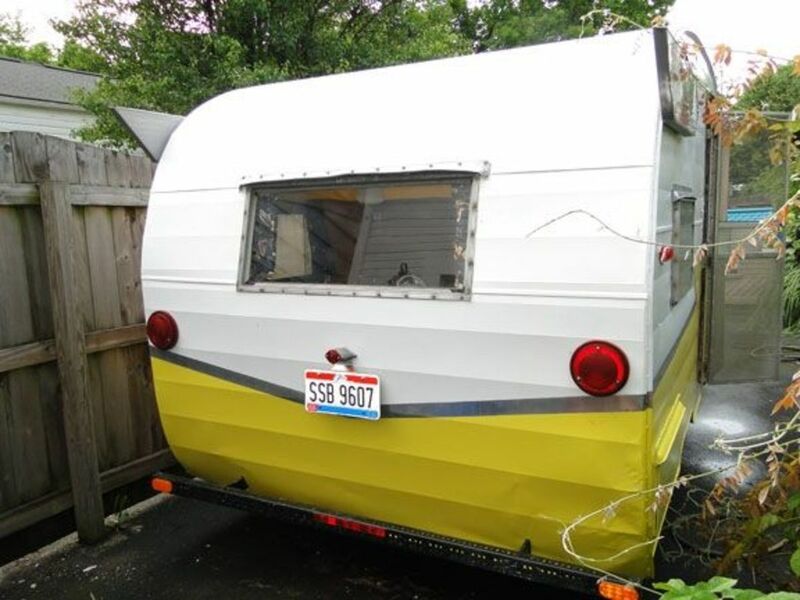 There's no perfect answer short of befriending some owners at Vintage Camper Rallies and buying one of their masterpieces when they move on to their next project (See my latest Shasta at my "Restoring a vintage camper lens" - Thanks Roger & Erin!)." 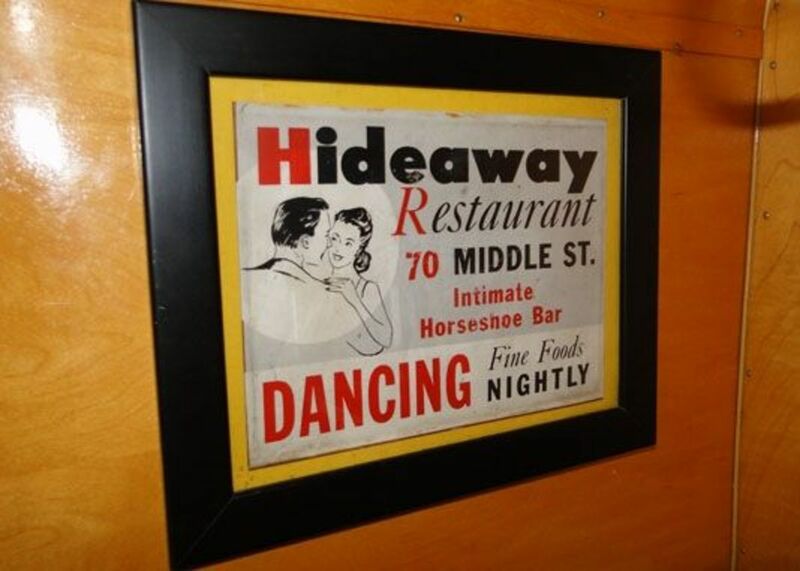 The retro bar ad this is our inspiration & theme for our camper - the "Holiday Hideaway." Shasta vintage exterior before paint, polish & new hubs. Original camper potty "throne" removed to house the air conditioner. The original Shasta cushion fabric which is preserved under the new slipcovers. 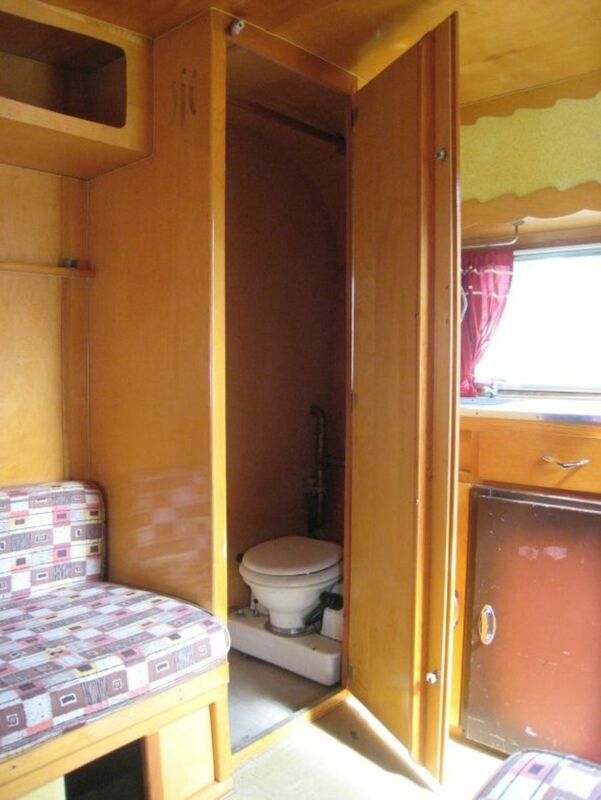 Interior of our Vintage camper with her new boomerang curtains, cutting board fitted to sink & mirror. New slipcovers, curtains & pillows making sleeping in the camper easy on the back and the eyes. Danby portable air conditioner rigged into former bathroom and venting below keeps our canned ham cool. Glamour camper exterior after our DIY "$50 Paint Job" and polish. John Deere yellow mixed 1:1 with White. Wings & stripe polished with Mother's Polish. New license holder & vintage camper lens plates from VintageTrailerSupply.com and we're ready to roll. She's a little lady; weighing in at around 1,200 pounds she can be pulled easily by my small V6 Toyota Rav4 SUV... and most other small SUVs... and we can even maneuver her around the campsite by hand. She's well-equipped; able to sleep two adults and two kids (in fabric hammocks), house a porta-potty (or a standing air conditioner now), stocked with a propane 3 burner stove & and oven, a gas light, several outlets and electric lighting and hose-adapted sink all in just 12 feet (including the tongue!). She's sheltered us in rainstorms and will guard the dog comfortably while we sight-see. She's easy to maintain; needing very little TLC other than some time-to-time caulking, paint of ball bearing cleaning she will tuck neatly away in most garages for the season. Its not surprising there are so many still around after a decade of camping! 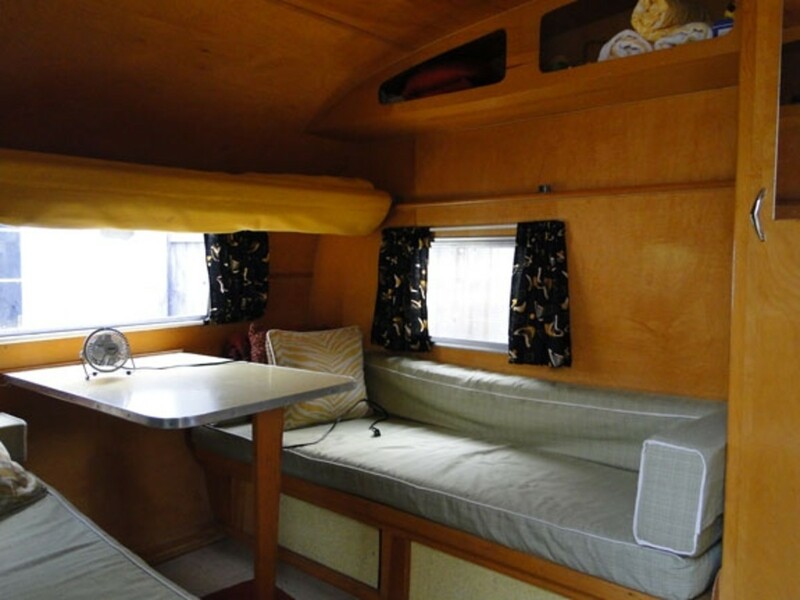 She's a beauty; when you camp in a vintage Shasta, expect to receive a lot of attention. 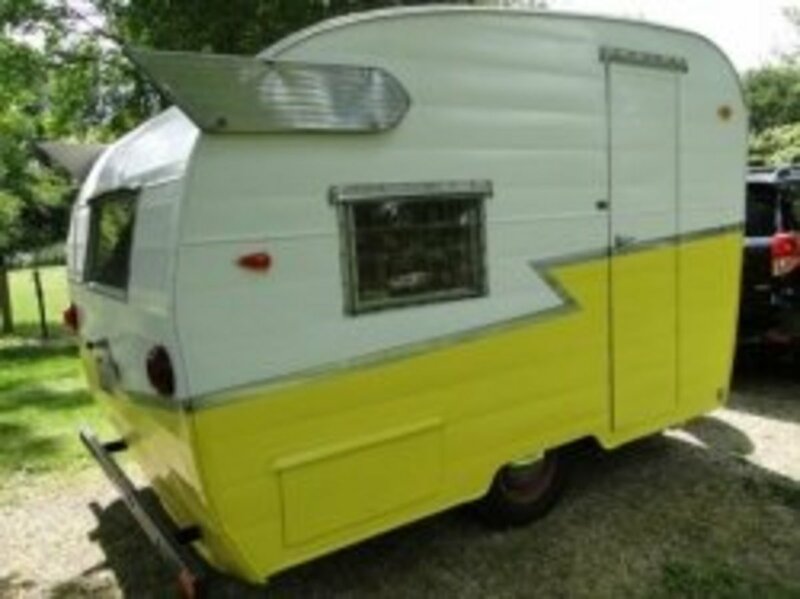 Her adorable canned ham shape, glamorous wings and beautiful honey-colored interior birch can not be beat by anything currently available new (well, perhaps unless you can spend $80,000 on an Airstream)! Even still, if you want the cozy warmth of real wood, even Airstream can't compete. They just don't build things like they used to and campers are no exception! I don't like discomfort when I camp - which is why I camp in a camper, and not in a tent. It was not long into our first tropically hot mid-west summer scorcher that I realized that a better name for our canned ham was the canned cooker. We needed air conditioning if I was going to see much of the summer season in the campground. We didn't want to ruin the classic look of our vintage camper (nor were we sure the framing was designed to properly support the typical roof-top camper air-conditioner). We also didn't want to put holes in the authentic exterior, nor are we very technically inclined in HVAC issues. Oh, and did I mention, we're cost conscious. We looked for the smallest window air conditioner and found that its about 1" too tall to fit under the bench seats and vent out the side exterior storage compartment. Hmmm... finally we came across our solution; a portable Danby air conditioner (see photos above) that could be placed in the closet/bathroom. 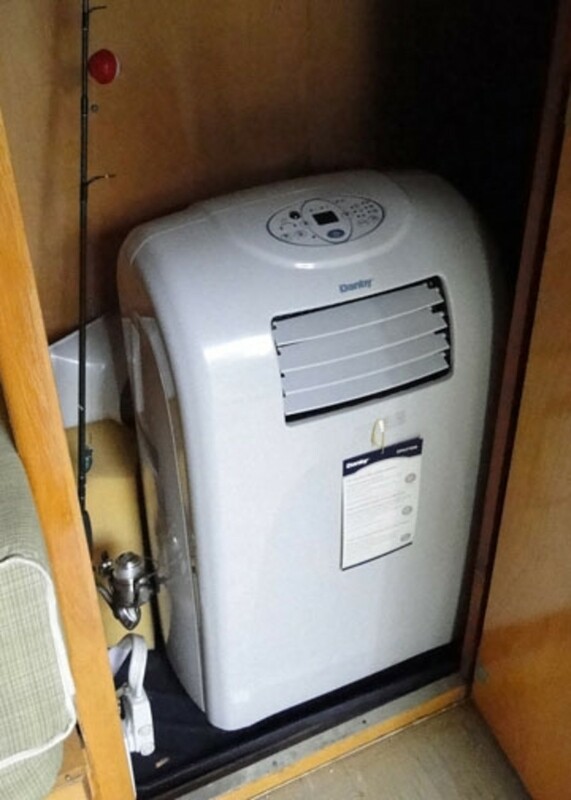 The air conditioner needed two external vents: one for the condensation to drip (because in our humid climate the water storage tank fills up too quickly to make it through the night) and one for the hot air to vent. Since we had removed the potty we had a nice round hole in the floor already. This (thanks to a good amount of duct tape which isn't the prettiest thing, but works) vents the hot air. See more photos of the setup by clicking here. One additional small hole drilled through for the 1/4 inch drip tube and we were up and running. Note; we had already upgraded the electric and placed an outlet in the closet. With just enough slack in the vent lines, the unit can be wheeled into the main room at night to cool us off and wheeled out of the way during the day. Its brought down a 98 degree today to a lovely 76 in the high summer. Its a win! 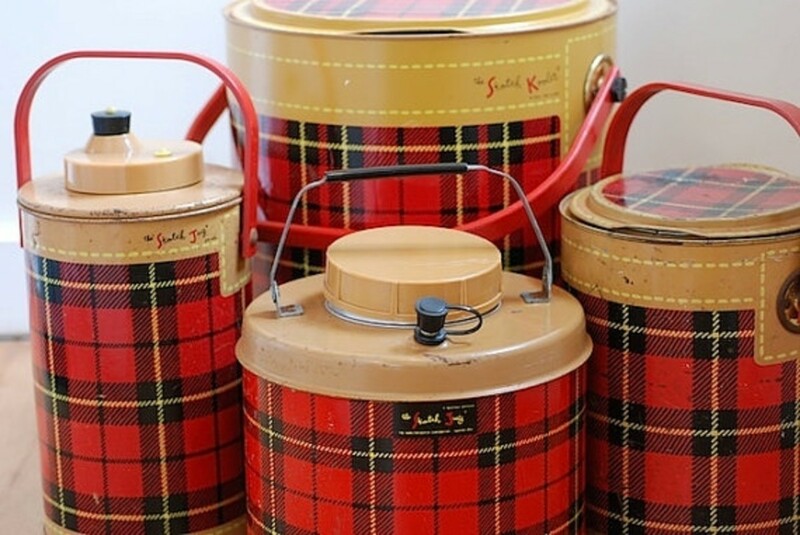 A whole selection of my customizable decorative and gift items for the vintage camper. 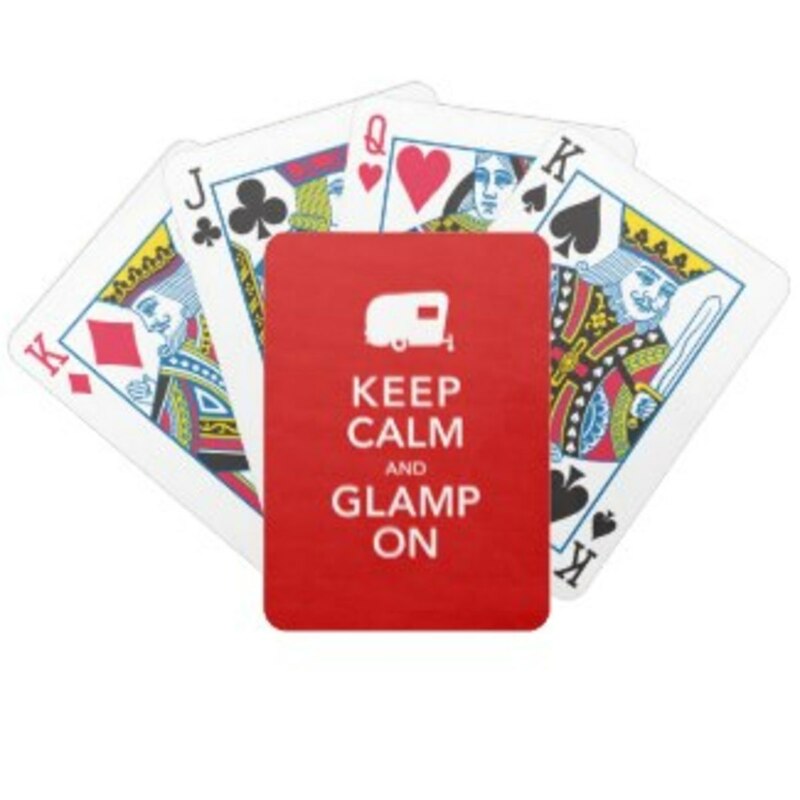 See it, love it, customize it, make it yours - Glamp on! Great resources from another gal who loves her Shasta. A blog full of delightful eye candy of every hue and shade, make and model of vintage camper in fully decorated glory. You'll be addicted. Known for their charming campers and outgoing spirit, this troupe of ladies dresses up their vintage campers, heads out on caravans together and shares their love of the open road. Totally infectious. If you're not sure if you can keep your sanity shacked up in a Canned Ham there's one good way to find out; try before you buy at a Vintage Camper Motel! There are a couple cool folks who have turned their camper obsessions into a business (hmmm... tempting eh?). You can benefit from their passion. Choose from a number of different size and brand vintage campers... the only thing you won't get out of it is the knuckle-numbing stress of backing your antique beauty into a tightly packed campground... for that, you're on your own! The Shady Dell Camper Resort: Located in Bisbee Arizona this cool place has a selection of 11 different sleeping options (including a boat) all done up in vintage retro charm. As they say, Mid-Century Modern is alive and well at the Shady Dell. They even have their own super cute retro diner. I'm totally jealous! The Starlight Classic Campground: Located in Canon City Colorado, 2 hours from Denver this scenic campground also offers an expanding selection of vintage campers available for rental. 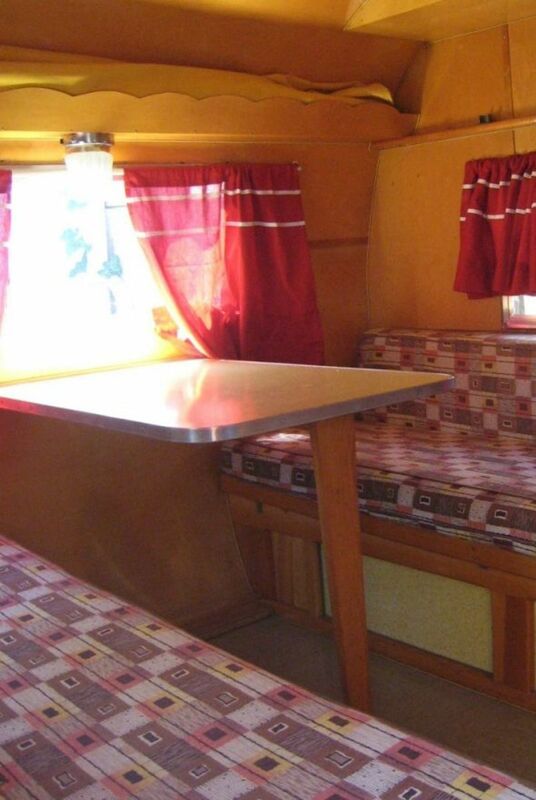 From a Shasta Airflyte (heart-throb) to a swanky Spartan Mansion to Tacy, The one and only "Long, Long Trailer" known as the 1954 New Moon 40' from the famous Lucille Ball movie... all this and more for your camping pleasure! The RV Hall of Fame: If you're anywhere near Elkhart Indiana, "the RV Capital of the World" take a trip to the RV Museum and get inside a whole range of delightful vintage campers. This is one of my favorite & most inspiring camper books. The Sisters on the Fly is a Ladies-only vintage camping group of fun-loving, design-savy and free-spirited road queens who get together in camping caravans across the country, and they are a total hoot. 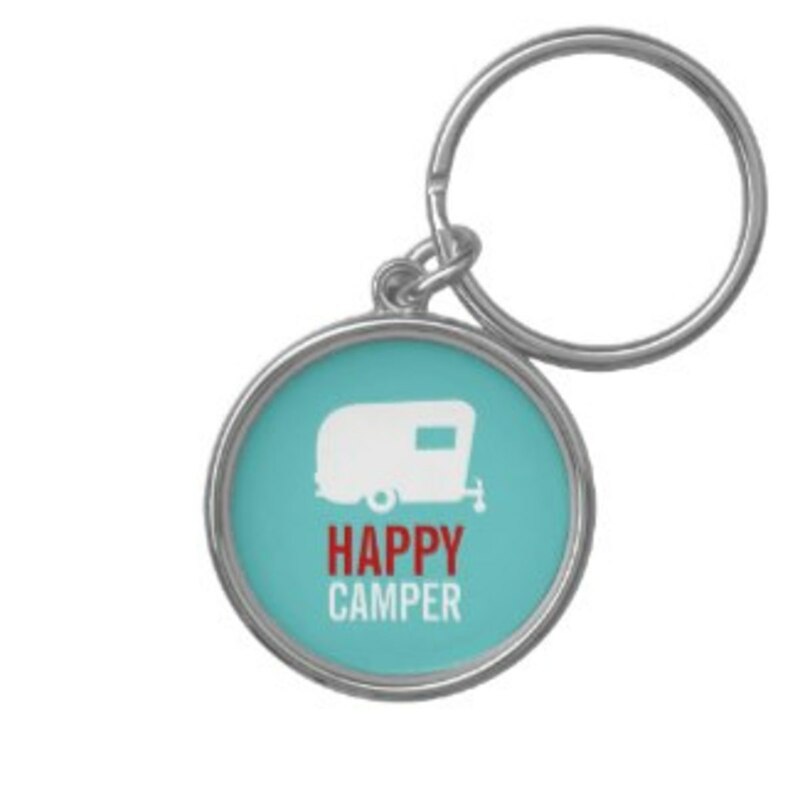 Part of what makes vintage camper life so much fun is all the shopping you can do to decorate not just your camper but also your campsite. 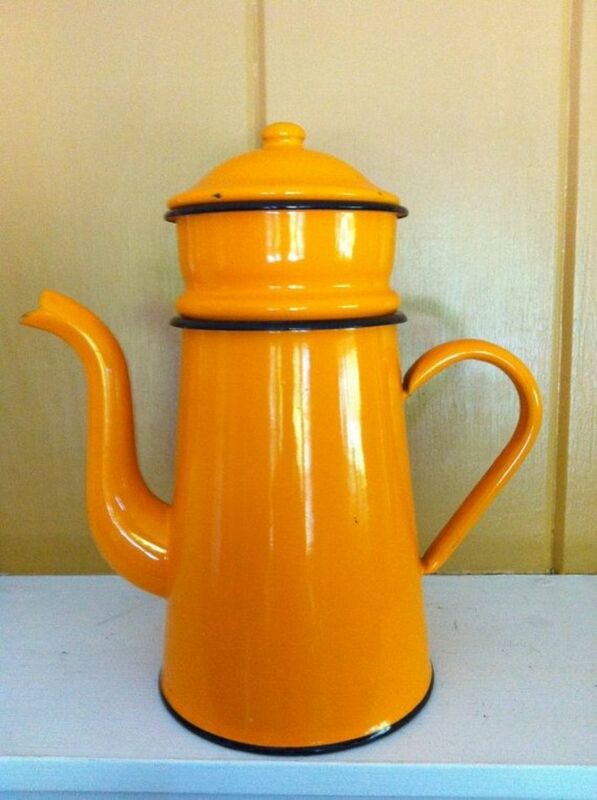 You never know what you'll fun antiques you'll find on auction sites, at yard sales or antique stores. 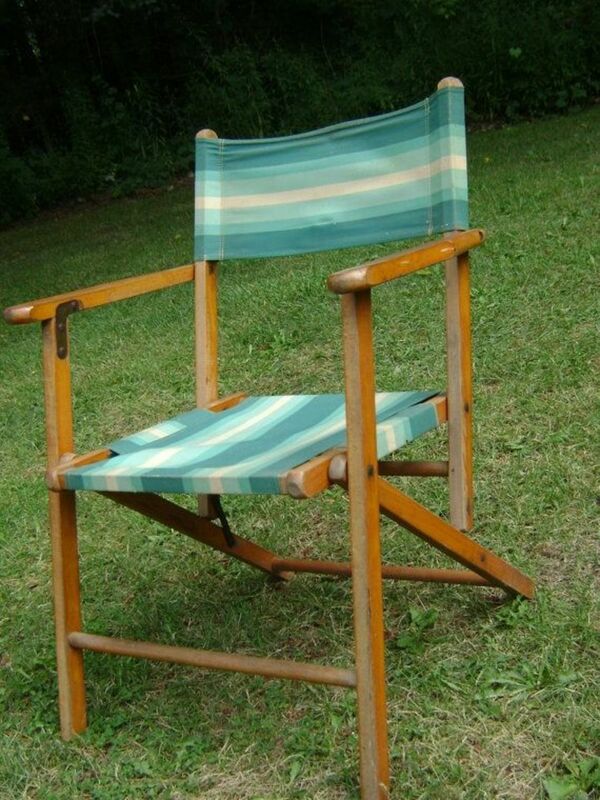 I love looking for vintage fans, coolers, patio chairs, indian blankets, postcards and more. I've sold some nice ones too. Get out and search. 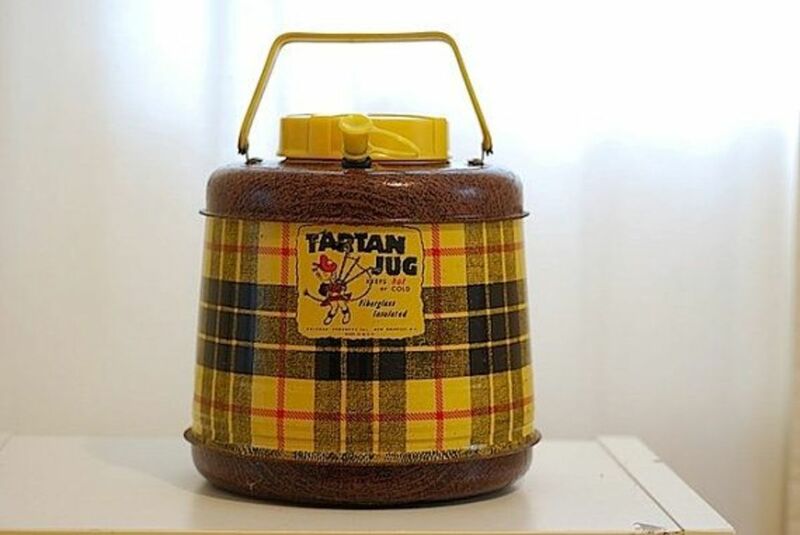 One of these Tartan Plaid Coolers was my first Camping purchase... it has become our "Beverage Cooler"
I love enamel camping serveware like these charming cups. What a great color combination. I've met a couple who decked their camper out with a honey bee theme. I bet they would love this addition! 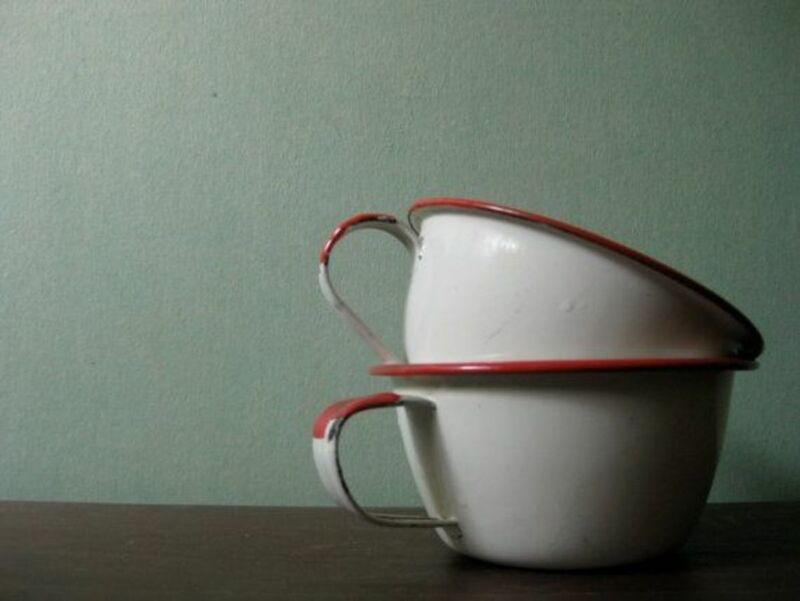 More great enamelware in a fantastic color. 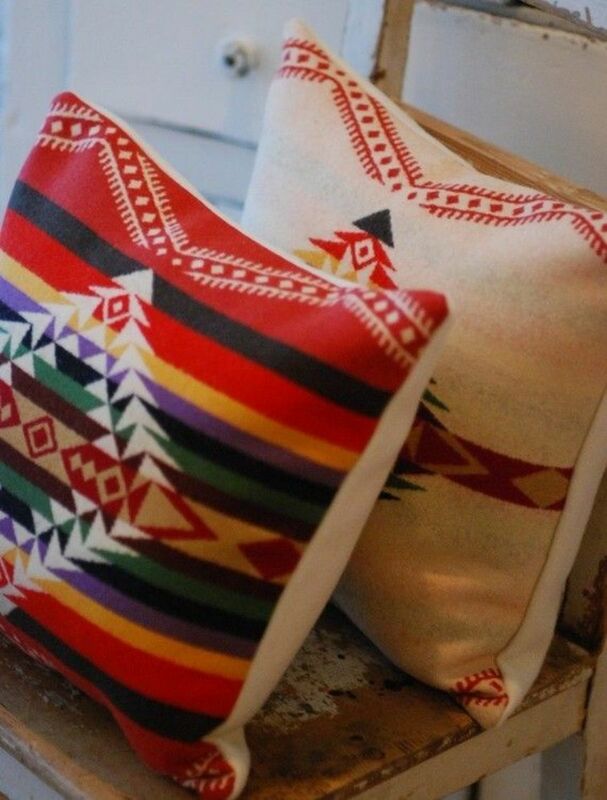 Classic Pendleton camp blankets fit well in a retro Adirondack or western theme. 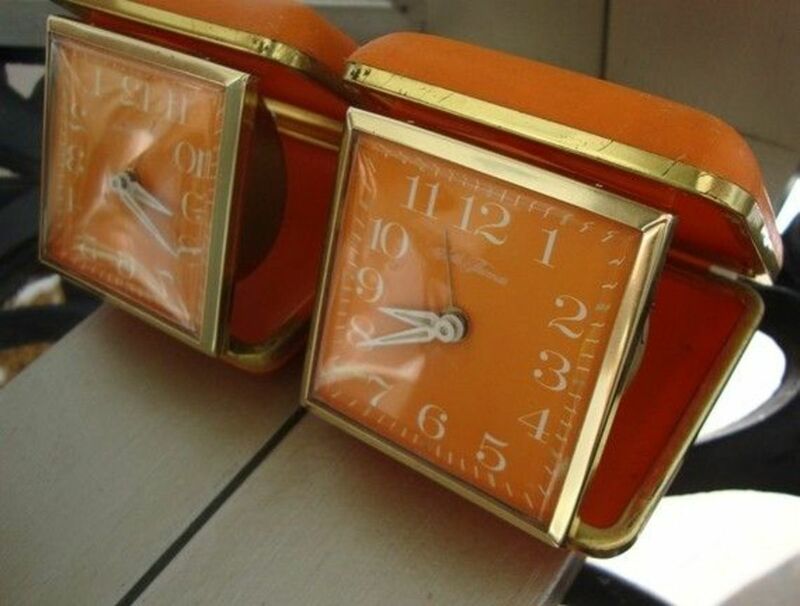 Orange Travel Clocks. How perfect! 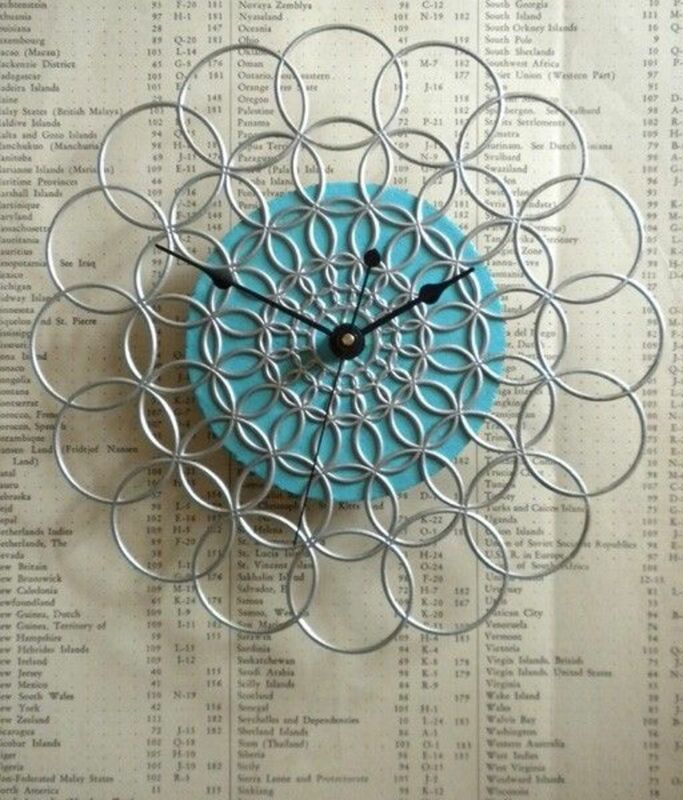 There's always a little space for a great wall clock. 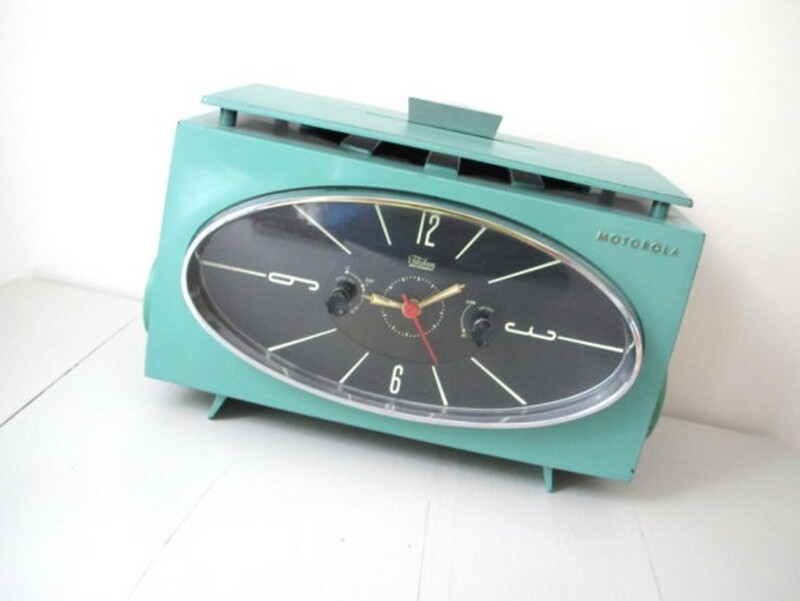 Retro radios rock the house in fab style... especially in turquoise blue. 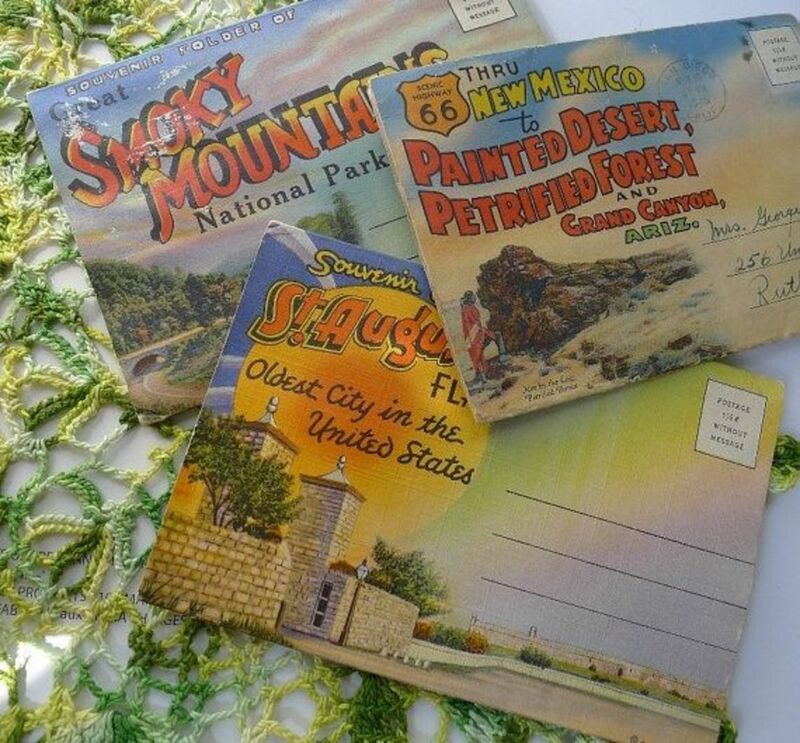 There's no limit to the vintage graphics available for decorating your camper; travel postcards, souvenirs, ads, kitchen towels etc. As you visit campgrounds you figure out quickly where the best spots are in each park; more shade, flatter spot, more privacy, closer to the loo - whatever your preference. The experienced campers note these spots on a camp map and file it in a binder so that the next time they book that campground, they'll know what to request. Write the names and addresses of cool people you met, add photos, jot down favorite memories or recipes and you'll soon have a family keepsake. You'll quickly find out that your canned ham will turn into a toaster oven as the summer sun heats up. You'll also find that a spot in the shade isn't available at every campground... best to bring some shade with you. Those in the know, do it in vintage style with brand new awnings from Marti's that slide into your camper's awning track. Waterproofed Sunbrella fabric keeps out the rain and the sun and gives you covered space for all your cool retro "porch gear." Drop a Line on the Road Less Traveled! This reminds me of the Trillium trailer we used one season for a trip to the Rockies. Such great memories. Great lens! 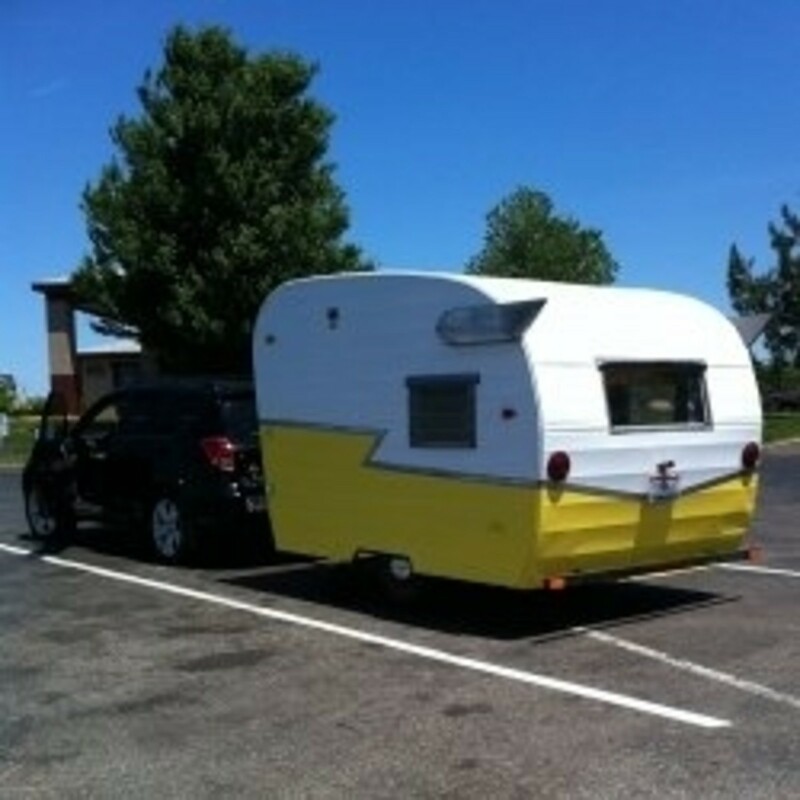 This vintage camper seems like a great way to hit the road really enjoyed your lens. I love retro campers like these! So much style and interesting details. My Mom said I can have the camper in her backyard. I'd like to restore it but can't find any information on it. It's a "Capital". Does anyone have information or a web site I can go to for help? I'm a Vintage Trailer Lover Too! 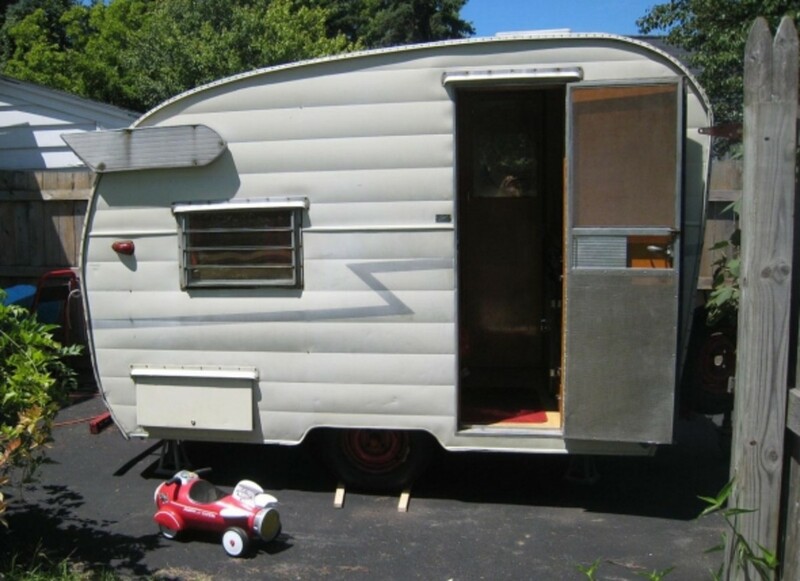 I have a "Go-Tag-Along," Trailer that is a 1973 model. 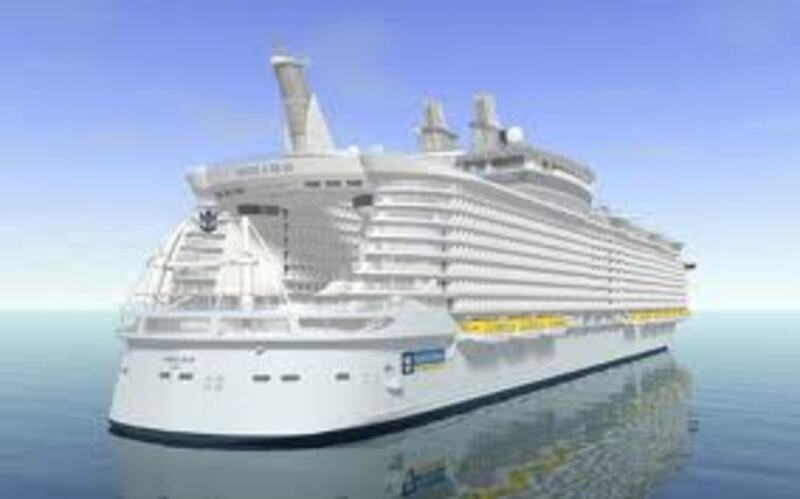 I travel in mine airbrushing at carnivals, agricultural fairs, bluegrass festivals and the list goes on and on. Lately, I've been doing a number of my friends and customers Vintage Campers on their t-shirts, sweatshirts or framable canvass!! True Vintage camper people absolutely, love them. Oftentimes, they give me a picture of their campers and then a few pics of their favorite places they've camped or would like to camp and that becomes the background of their Custom Vintage Camper T-Shirt etc. Thirty-one years of experience. Custom artwork done with and on----the finest materials for longlasting, durability. Duane Dean Smith. I am co-producing our 4th Vintage Trailer Show for Modernism Week, in beautiful Palm Springs, California this coming February. We are looking for not only cool vintage trailers to be on exhibit during the 2 day show, but also for fun Vendors that sell Vintage Trailer related gifts, art, t-shirts, books, etc. Our booth fee is only $200 for the weekend -- Would you happen to have any great vendors to suggest? Thanks so much -- I look forward to hearing from you! Well i just want to say that your lens is so interesting and helpful. This is great! I really loved camping as a kid and I want to take my little ones camping. Love this beautiful little trailer. Just gorgeous! Happy memories here. We used to have a "Nimrod" trailer. 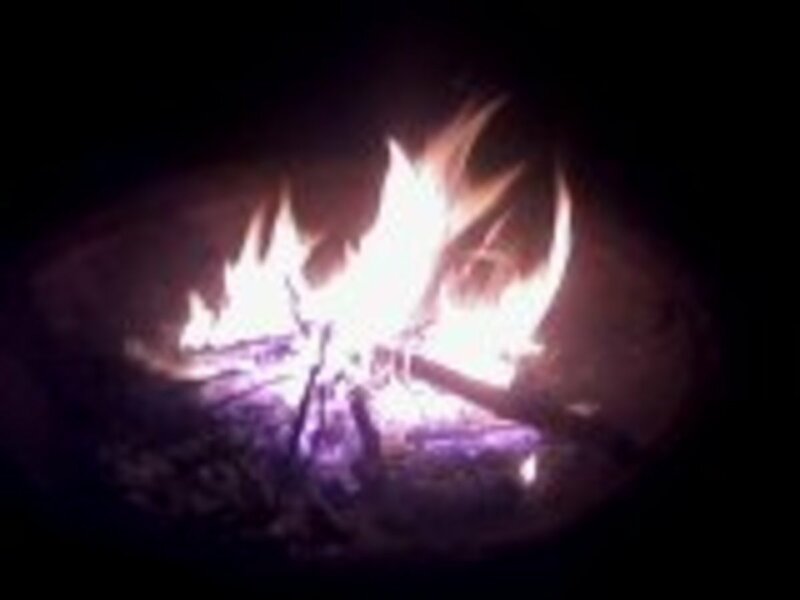 Happy camping to you on this first day of Summer. Squid Angel blessed! Love what you did to your camper. I want one! My husband has had to travel around the country for his schooling so we buy homes and sell them all the time. We keep a lot of our belongings in storage for now, but the one thing that always comes with us is our vintage camper. We LOVE it! Great job on the camper trailer, love the pics. Nice lens. We have a boler that needs some TLC. I like what you did to your camper. Love this lens, grew up camping in upstate NY. This Shasta vintage camper is really cool! Blessed by a Squid Angel as she travels through. Having your own camper van offers the freedom to go camping and exploring in luxury. 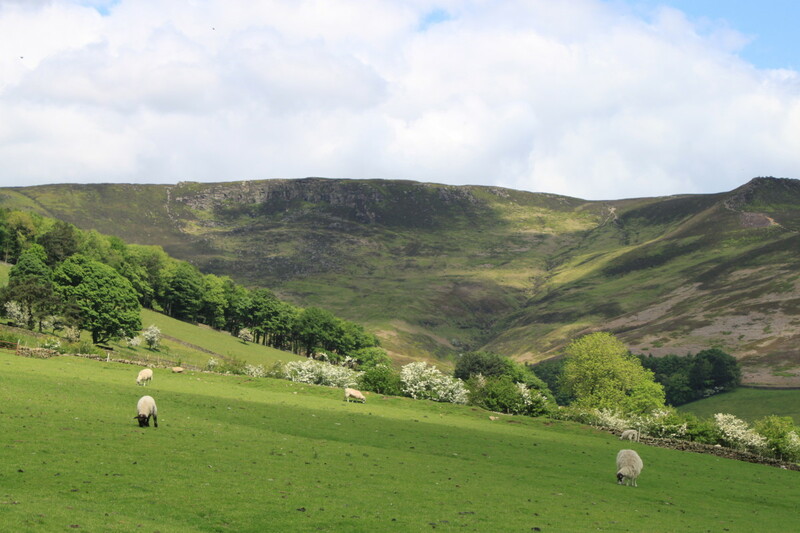 It's much more convenient that a car and tent or a caravan, as you can simply put everything away and drive to your next destination, without having to pack away a tent or prepare a caravan for the road. I love your whole retro theme! Love the Shasta especially! 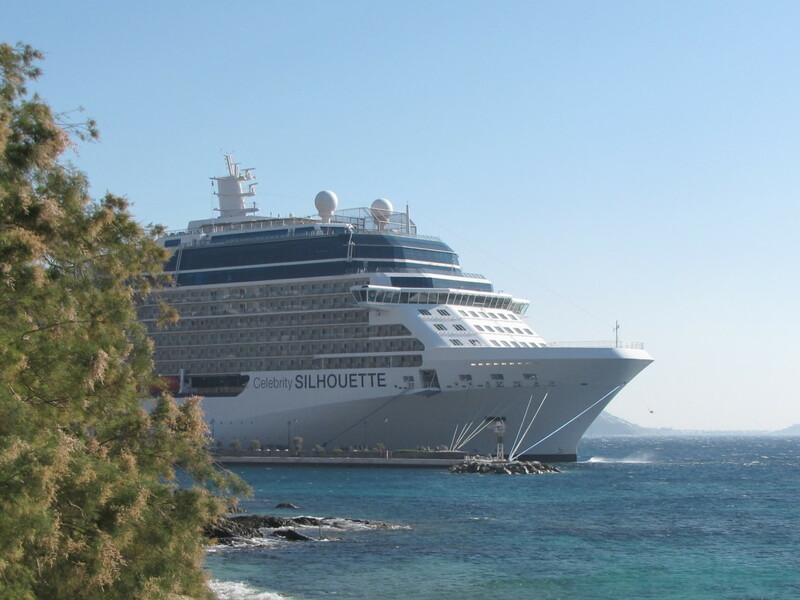 @CandiceE: Thanks and happy travels in your new baby! What a great lens! My husband and I love vintage campers and had a 51 Shasta for several years.............my brother-in-law and his wife are still using it! They are so much fun. We plan on buying another vintage camper very soon. Thanks for sharing............you did a great job!